We have recently been issued with a legal gagging order by another leading kid-friendly micro-resort in the South of France as they didn’t want us to tell you that we offer a very similar experience to theirs but at a 50% discount! Don’t worry – we won’t be bullied and we will continue to make Imagine Roussillon better than ever before. And remember – * we are near the beach * we have a purpose-designed fitness centre as well as our other fabulous facilities. Luxury family holidays in France are offered by us here at Imagine Roussillon, but at much lower prices than some of our competitors! 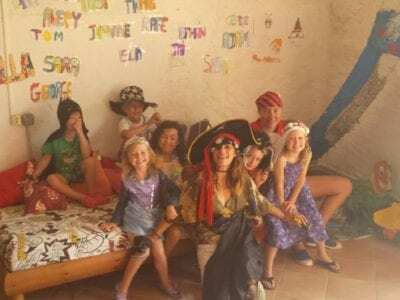 So please read on to find out exactly what we offer and how we think we are the best provider of family friendly holidays in France. We offer a 6 day a week kids club included in the price, for those of you looking for a great self catering holiday with kids club. Our great little children’s entertainment facility is at the heart of our complex and is the centre of what we offer here. We have just 6 apartments, so your children will never be lost in a crowd at Imagine Roussillon – it’s paradise for the little ones here! This makes us a worthy alternative to the very expensive child-friendly complexes, as they too offer just a small amount of accommodation in order to keep service levels personal. Our kids club is staffed each day and offers a large variety of activities and arts & crafts. Everything is decided each day depending on the individuals in attendance – we don’t stick to strict timetables and rules. So one morning might be story time and painting, the next could be games on the lawn and sand castles! And remember that the children can drop in when they like – you don’t need to book in advance. Because our family micro resort is so small, the kids gain confidence very quickly and attain a small sense of independence. They (and you) know that your apartment is just 15 metres from kids club, as is the coffee bar, and this reduces anxiety on the first day for the children. 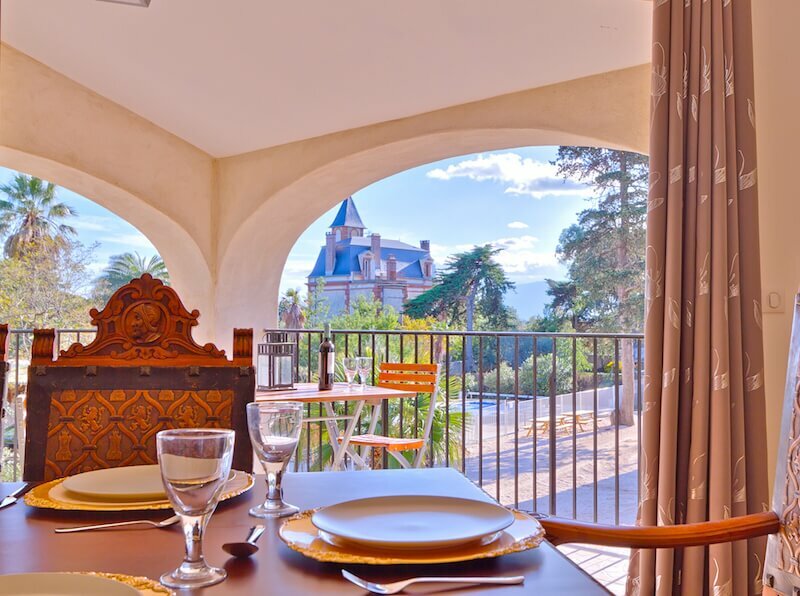 Chateau Views from Aigrette 3 bedroom apartment. We offer just 6 high quality apartments, all architect-designed and all with a unique style. 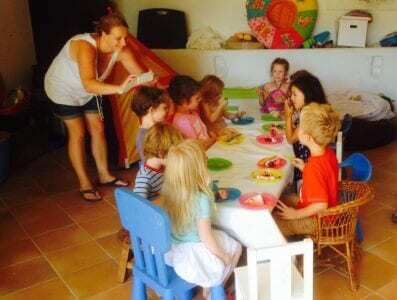 Whether you require a 3 bedroom villa or a smaller 2 bedroom apartment, each accommodation is fully equipped and stylish, with everything you might need for your child friendly holiday in France. Free wifi, Nespresso machine, washing machine, dishwasher, room safe and much more comes as standard at Imagine Roussillon. We have tried to think of all the details so that you can arrive, unpack and start to unwind straight away. A real holiday for both parents and children alike. Two babysitting nights where we supply the babysitter and you eat out in a local restaurant. Unlike most of our competitors, we are located very close to the sandy Mediterranean beaches. Canet Plage is just 8 minutes’ drive away, so you certainly won’t feel like it’s a commute to the beach! The local resort – and there is a choice of many others too – has lots of cafes, restaurants and bars, as well as lots of beach clubs and kids entertainment facilities. We have a bespoke fitness studio and gym, which for 2017 will be in a very unique space indeed – the former wine-pressing cellar of Imagine Roussillon! Work out in your complimentary daily fitness class (season-dependent) amongst the original equipment used by the winegrowers of years gone by. As well as our fitness classes, we offer a gym with a good range of equipment. If you feel like being pampered rather than pummelled, why not try a massage in our purpose-built studio? Indian Head Massage, myofascial massage and hot stones therapy are just three of the treatments on offer. Don’t take our word for it that we offer a brilliant alternative to the more expensive country child friendly resorts France – have a look at our guests’ reviews on TripAdvisor. We are very proud of what we have achieved since 2012 and would love you to join us in 2017 and 2018 to build our reputation from strength to strength.